Celebrate Brighton Pride with some pottery painting! We love Brighton Pride! The joy, the inclusivity, the bright colours, it’s everything we love to celebrate here at The Painting Pottery Cafe. ‘Colour My World’ is Brighton Pride’s theme this year – a celebration of all the elation and vibrancy within the LGBTQ+ community. Whatever you paint can be a representation of your identity and what Pride means to you, and we’ll provide everything you need to colour YOUR world on your pottery masterpiece. We’ve got loads of brightly coloured paints, tons of images, and ideas galore to help you out! Sound like your kinda thing? 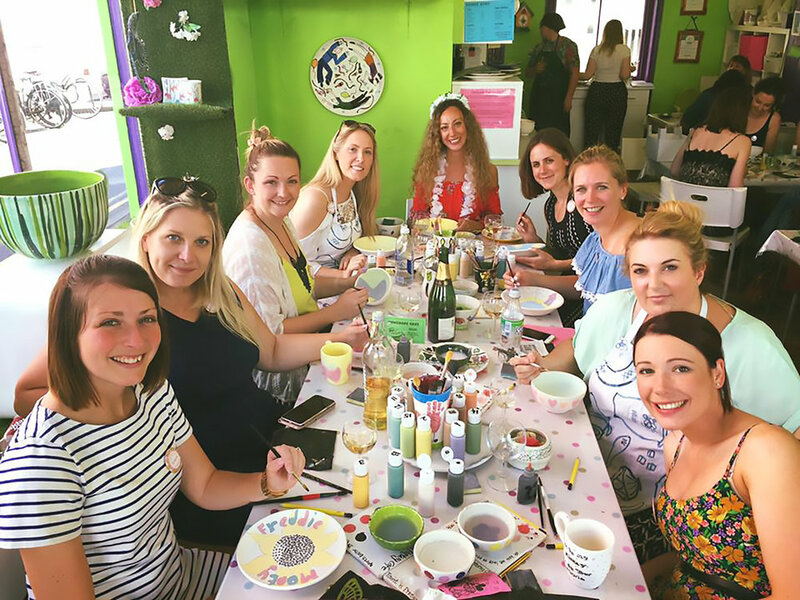 Then gather the gang, ‘cause on Thursday 2nd August we’d love you all to come and paint a mug, bowl, or plate for just £25pp. This event will be the perfect way to get into the Pride swing of things, preparing you for the wonderful weekend. We'll be providing nibbles, and of course it's BYOB so you can pop a bottle or two in celebratory style, and get those creative juices flowing. To top it all off, we’ll have your pottery ready to take home with you on Sunday afternoon as a souvenir of your glorious weekend of sunshine, rainbows, and celebrations.